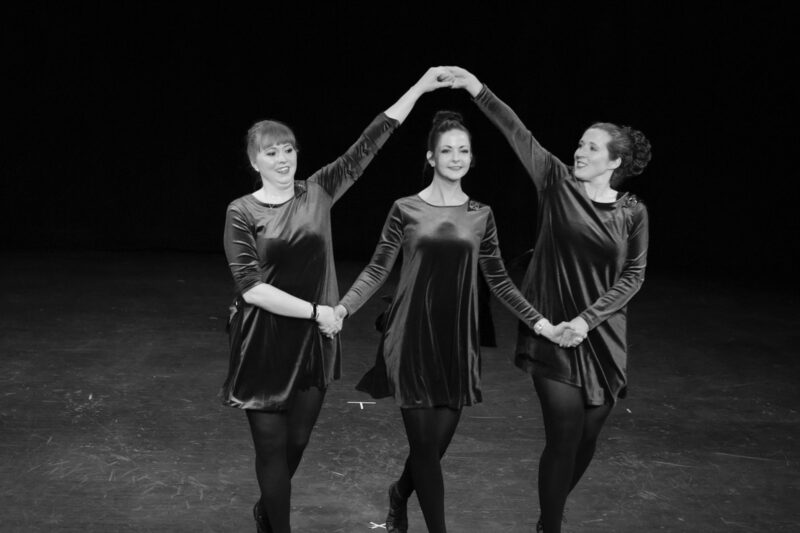 This week in Orlando, Florida, the 2016 Irish dance national championships are taking place, bringing together some of the best Irish dancers from across North America and the world. While dancing as if no one is watching gives you a sense of throwing caution to the wind, moving with the music and freedom, I think it’s just as important to remind dancers to step out there on stage and dance as if EVERYONE is watching. Take command, steal the show. Show them why you are onstage at the Irish dance national championships. Best of luck to all the #NAIDC2016 teams and dancers! 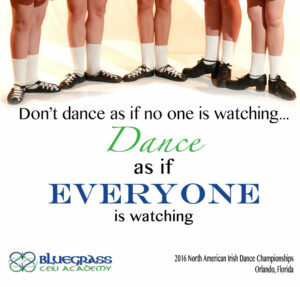 Bluegrass Ceili Academy won’t have any teams at this year’s competition in Orlando. With our school just getting off the ground and classes beginning this fall, it will be a few years before we bring dancers to the competition. But we’ve set our sights on some short term goals: in 2018 and 2019, the Mid-America Oireachtas (pronounced Oh-rock-tuss), our regional championships, will be held in Louisville. The year after that, in 2020, the Irish dance national championships will be held in Nashville. Bluegrass Ceili Academy will be there for all three competitions!